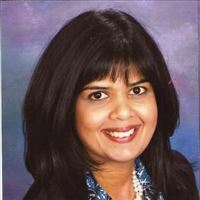 Maryam Donnelly is Vice President of Marketing Services at Impact Marketing(nj) www.feeltheimpactnow.com. She has spent more than 20 years leading technology marketing strategy, product management, and business development at Fortune 500 companies including Prudential Insurance, Automatic Data Processing and Travelport(formerly Cendant). She has been a principal at Impact Marketing(nj), a boutique strategic marketing services company based in the New York metro area since 2006. Impact Marketing provides the spectrum of businesses with marketing management, content provision, marketing planning, and analysis. Maryam holds a BBA and MBA in Marketing from Hofstra University, she can be reached at [email protected].